Some pets require a specialized veterinarian, so make sure your search terms include the type of care you need. For instance, a veterinarian who specializes in dogs and cats may not know as much about treating a rabbit, ferret, or bird. Start your veterinarian search by including specialty in your parameters. 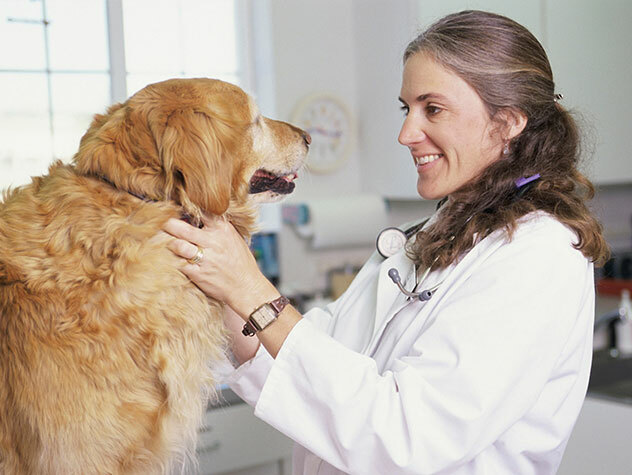 Veterinary hospitals can be accredited through the American Animal Hospital Association. This designation means that the hospital or practice has been voluntarily evaluated and follows the AAHA’s standards of quality. In addition to certifying veterinary hospitals and practices, the AAHA provides continued learning courses and support. When you live in a pet-friendly apartment community, you’ll likely have plenty of neighbors with pets—and those neighbors may be able to give you recommendations for a great veterinarian in the area. As a bonus, you and your pet just might make some new friends in the process. There are many websites that let people rate and review various veterinary practices, so do your research before settling on a location. Start your search by eliminating practices that have low ratings. Once you find several that have high ratings, start reading individual reviews. Previous and current patients can help give you an idea of what a particular veterinarian or their practice is like. Remember, one bad review doesn’t mean that location is out of the question. If most are positive, it’s likely the negative review is only one poor experience and may not accurately reflect the practice or hospital. Animal hospital websites can provide plenty of information about the location, including their philosophies. The practice’s philosophy or mission statement summarizes its approach to treating animals, and it can help indicate if the veterinary hospital is in line with what you’re looking for. Veterinary websites often include hours, locations, the veterinarian’s names, and whether they’re certified by the AAHA. In addition to treating your pet, check to see what additional services the location offers. Are they equipped to perform any necessary diagnostic procedures (such as X-rays and ultrasounds) or surgeries on site? Which emergency services do they offer? If your pet has special needs, learn whether the location is equipped to properly handle their care. The animal hospital’s website will often list all services the practice can perform, if not be sure to give them a call and ask. After finding a practice and veterinarian that seem like a good option, schedule a visit with your pet. That way, your pet can meet the veterinarian, and you can ask questions, check out the practice, and see whether it’s the environment you’re after for your furry friend. Watch how the vet techs and veterinarian interact with your pet. This should help give you a feel of whether the staff and hospital are a good fit. • What is your area of specialty? • How many veterinarians are at the practice? • Do you provide emergency services? • What sort of equipment do you use and what services are available? • Do you have specialists on staff? If not, do you provide referrals? • What types of animals do you generally work with? Even if you like the first veterinarian you visit, consider making appointments at other clinics in your area that seemed like good options based on your research so that you can compare more accurately. Visiting a veterinarian in person can really help you decide if he or she meets your needs, if they provide they type of care you’re looking for, and if your pet is comfortable. Finding a veterinarian you can rely on and who makes you feel comfortable is important when you move to a new apartment. Always find a veterinarian before you need one, otherwise you may end up at a location that doesn’t have everything you need in the middle of an emergency. But, by having a veterinarian you trust already in your contacts, you can be prepared to provide your pet the best possible care.